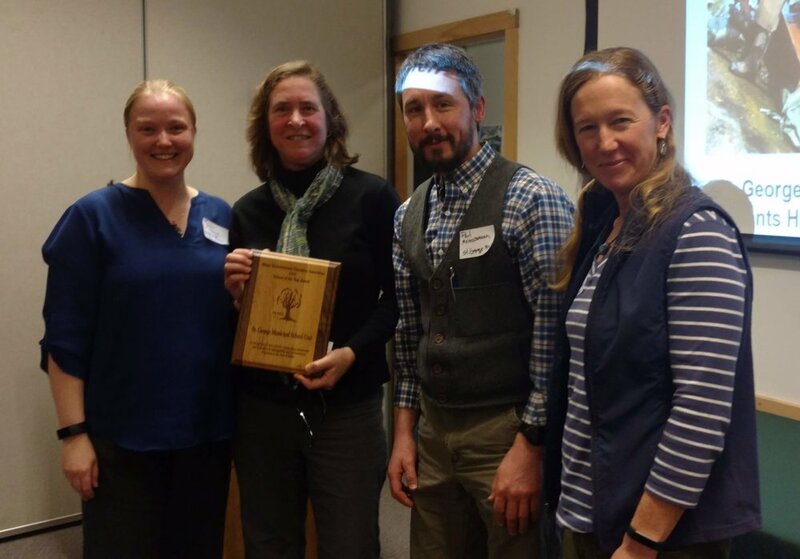 Each year MEEA celebrates the excellent environmental educators, programs, schools, students and environmental allies in the state of Maine at our annual Awards Ceremony. 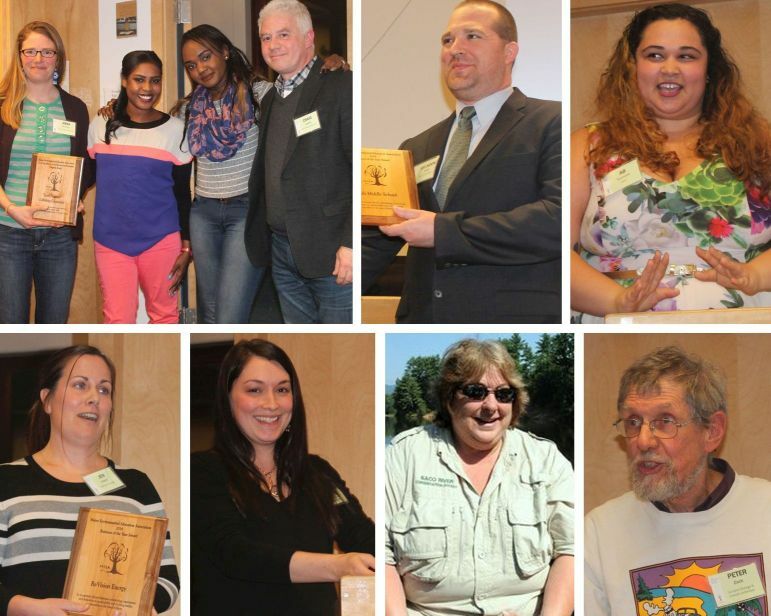 For 2018 we were thrilled to recognize four outstanding people, programs, and partnerships that exemplify excellence across the environmental education field. 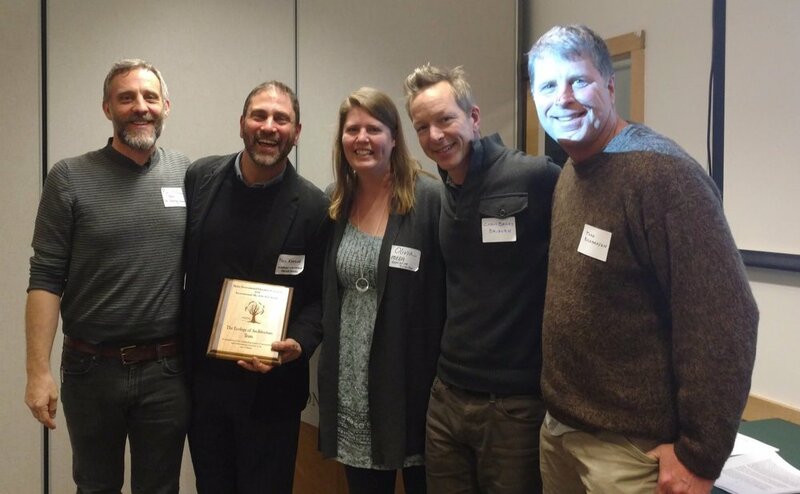 ﻿The Eberhard Thiele Environmental Educator Award is designed to recognize environmental education professional who works either outside the formal classroom setting or a classroom teacher that incorporates environmental education into their pedagogical philosophy and practice. This award honors Eberhard Thiele who was the first President of MEEA (1981), served many years on the board, and inspired many students as the Director of Environmental Studies at the University of Maine, Fort Kent. The School of the Year Award is designed to recognize an outstanding Maine public or private school or school program that demonstrates a commitment to creating a healthy school environment through means such as reducing the school's environmental impact and improving energy efficiency, environmental and sustainability education that incorporates service learning and collaboration with other schools or programs to increase the effectiveness of their environmental education programming. The Student of the Year Award is designed to recognize an outstanding Maine student (K-college) who has demonstrated leadership in their school and community encouraging sustainable practices and/or environmental education and or environmental justice initiatives, showed a passion for the natural world and has a strong work ethic at school and/or in their home community. The Environmental Ally of the Year Award is designed to recognize an outstanding Maine Organization or Business that, despite it not being primary to its mission or activities, is committed to serving their community through demonstrating understanding and support of environmental or nature education, increasing environmental sustainability, and/or connecting or collaborating with local land and resources in Maine. Our keynote speaker for 2018 was Drew Dumsch, President and CEO of The Ecology School, an organization that brings innovative ecology education to thousands of children throughout New England and nationwide. He was speaking on behalf of the Environmental Living and Learning for Maine Students collaborative, a group of residential environmental learning centers working in partnership with Maine schools to provide outdoor learning experiences that empower students and educators to create healthy, vibrant communities. In 2017, MEEA also honored two individuals for their contributions in Maine to the field of environmental education who passed away in 2017, Dr. Susan Hillman, professor at the University of New England, and Les Hyde, the founder of the the Umaine 4-H Camp and Learning Center at Tanglewood in Lincolnville Maine. Chloe Maxmin: Winner of the North American Association for Environmental Education's 30 under 30 Award recognizing the top 30 young people in North America under the age of 30 doing significant environmental work that incorporates education. Adrian Ayson: MEEA Projects Manager, Winner of the North American Association for Environmental Education's 2016 Outstanding Service to EE at the individual level, for regional service.